Welcome to Hooked on Fridays, a blog party I host at the end of each week to celebrate the things we love. This week I’m hooked on beach houses! My dream is to someday live in a bright and cheery cottage near the ocean. 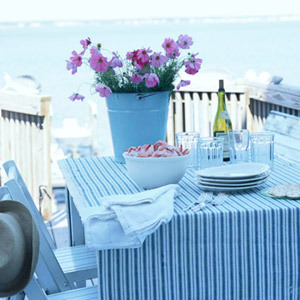 In the meantime, I’m living vicariously through my other blog, Beach Cottage Love. That’s right, I started a second blog — because who needs to sleep, anyway? I wanted to create a fun little blog where I could dream big (and beachy). 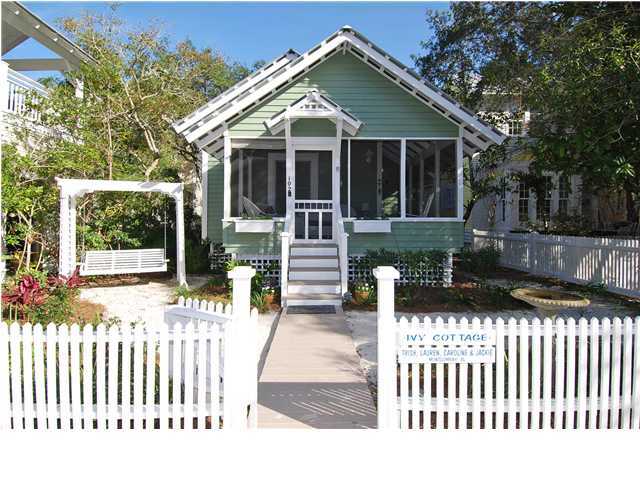 So far I’ve talked about things like Rachel Ashwell’s Shabby Chic beach house, Hemingway’s house in Key West (I love the yellow shutters), and Ivy Cottage, that cute little green house at the top of this post. 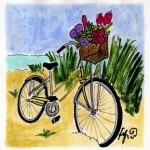 I hope you’ll stop by Beach Cottage Love and say hello the next time you feel the need for a little surf and sunshine! Link back to the party from your post so that your readers can come and see what everyone else is talking about today! Visit as many of the other participants as possible and leave comments! That’s what a blog party is all about! Double-check to make sure your link works and goes to the right page so it doesn’t get deleted! If you come back and see your link is gone, re-read these rules and try again. 52. Leila – TWO WAYS TO SAVE MONEY! Beach dreaming is big at our place. Atlanta is a bit too landlocked but we’re pretty close to both the Atlantic and and Gulf. Not close enough though. Hi Julia- I too adore beach houses! We honeymooned in Key West and have a gorgeous painting of Hemingways home. Can’t wait to check out the beach blog, who needs sleep, when you can blog? beach cottages? i also covet these pieces of real estate. one day… and i love both of your blogs. Girlie, I’ve the the beach on the brain, too! I’m going over there RIGHT NOW! I love the photo with the ladder! It’s good to be back at your blog party after a few weeks’ absence …. I love beach houses too! The sand and the sea is definitely for me!! There are a lot of folks around here with 2nd home beachhouses. Can’t wait to keep up with your new blog! Beach houses are so wonderful! Thank you for hosting this party! 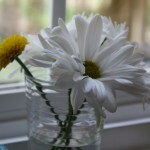 Gayle’s last blog post..Love Thursday: Spring! I live in a little beach cottage (16 blocks from the beach! ), but I think I may be moving on (check out my latest post). Am I making a mistake? Hmmmm…. I have always lived in the desert and I imagine living near the ocean would be so romantic, like a Nicholas Sparks novel! Thanks for hosting this awesome blog party. Julia, I can’t tell you how much I look forward to seeing the thing you’re hooked on each Friday. I’m going to go visit your new blog now. melissa @ the inspired room’s last blog post..DIY: An Old Door Makes a Great Desk! I could surely use a Beach Cottage today! We have had snow all week (and it is Spring Break). I just checked out your other blog and it’s awesome! Having a beach house is my dream too. It can be a place where I can just relax…sigh. I’m so impressed you started another beautiful blog! I love beachy homes all all kinds…still a dream to own one! how sweet!! i’d love to own a beach cottage one day, to live close to the beach is a dream!! Gorgeous, everything is so bright and fun! I’m lovin’ the “other” blog! All my family lives in Florida and that blog just makes me want to move closer to them. Of course, it’s only a dream, but.. ahhh, a cottage on the beach would be heaven! I wish I could be at the beach and in that cottage -right now! Can you get me one of those cottages too?? Leila’s last blog post..Two big ways to save money. I would LOVE to own a beach cottage but alas a land locked lass like me just has to rent one for a week or so every year, but I so look forward to it and I think it makes it all the more special that I don’t actually live there. I always wonder if the magical enchantment of the sea would wear off if I were to actually live there. I do have a beach cottage of sorts if you count my little writing cottage out by the garden pond where all my collected beach treasures reside and soft colors of sand and sea soothe me. I look forward to checking out your other blog! Sandy’s last blog post..Spring Garden Party Ideas….. Oops!! Sorry, I linked up to you at like 3am this morning and I was a dork and forgot to include your link so I didn’t want you to think I was rude if you dropped by and didn’t see any mention of your linky party. I fixed it. Sorry!! This week I am hooked on garage sales. 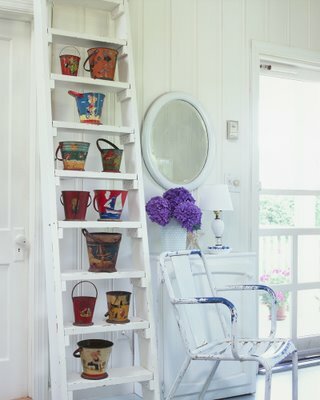 I am headed over to your new blog so I may soon be hooked on cottage chic! This week I’m hooked on joining the Etsy Vintage market teams Earth day sale coming soon…April 20 – 24th. I love your new blog and I love beachy homes too! Have fun this weekend! christy’s last blog post..Anchors aweigh! Congrats on the new blog, Julia. Now, I’m off to put a fence up at the mini-vineyard (my back yard with 4 vines planted). Couldn’t ask for a better day for it. I love a little cottage and this one is FAB!!! Thanks for sharing and for starting another blog all about cottages! and other great sites with luxury villas outside Stockholm. Hope to come back for more inspiring photos! A second blog? Wow! Though I can see your logic because I dream of a second house, too and it gets confusing collecting things for both homes on one blog(!) Looking forward to checking it out. Have a good weekend! That beach cottage is FAB!!! I think I NEED one… and I know EXACTLY where… Ventura Beach, CA… sigh!!! I have been a follower for a little while and love all your posts and the fact that you post often. Your beach cottage photos make me hear the waves and smell the ocean. Love it! I’m sooo impressed! I’m now addicted to both of your blogs! I don’t have a beach house, I just bombard my mom’s home in Bridgehampton, NY every summer!! She loves it so much she built an addition for my growing family! Yay mom!! melissa’s last blog post..Tim Gunn Made it Work!! Hi Julia! Love the idea of a Beach Cottage blog. Our family always had a summer house at the shore. This year, my sister and I will be minimally renovating our parents’ house on Peconic Bay on Eastern Long Island, so we can use it again. It was once a summer cottage, but eventually grew to a 3000 s.f. retirement home — lucky for us, plenty of space for kids and guests! I’m not sure how you’ll find the time to do all of this, but I’ll be watching for Beach House posts, looking for inspiration! Enjoy your weekend; looking forward to seeing the new blog look! 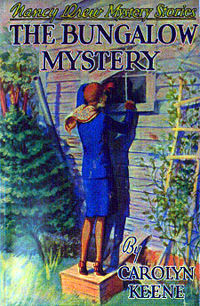 Cass @ That Old House’s last blog post..Hooked on Hopping off the "Stage" Coach, Or: Relax! 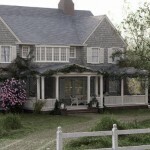 That Old House is not for sale! I have to tell you how impressed I am with your carnival. I had the highest traffic to my blog EVER because of you. Thanks for hosting it, I’m looking forward to partying again soon! Amy’s last blog post..Step Right Up! A beach cottage would be a wonderful idea for vacation house. very, very cute. oh and i love the hooked on fridays idea!!! I’m hoping you’re able to catch a nap now and then!!! I love the beach cottage idea, I want one, with guaranteed lovely weather, a sweating icy cocktail waiting for me whenever I’m there, and no dishes to clean…sounds like bliss! Love that second photo. Looks like a perfect spot to relax and have lunch. A little late to the party, Julia! But I’m here! I did my best although looking at these fabulous lists really makes me looks like the amateur blogger I am. I am learning…..
Bridget’s last blog post..5 things…. So glad Fifi told about your blog! and what fun to join the party! I love the new blog! Since I live in Florida. I would love to give my house a beachy cottage feel. I’ve added it to my Blog Candy roll!